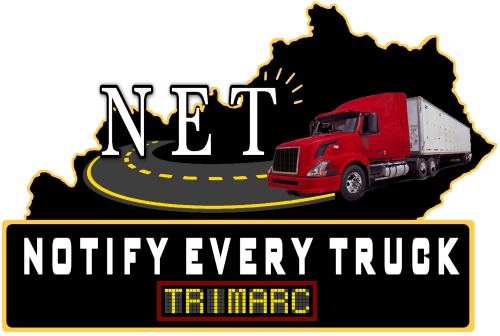 The TRIMARC Notify Every Truck service alerts commercial vehicle operators of condition that may interrupt travel on Kentucky's major highways. 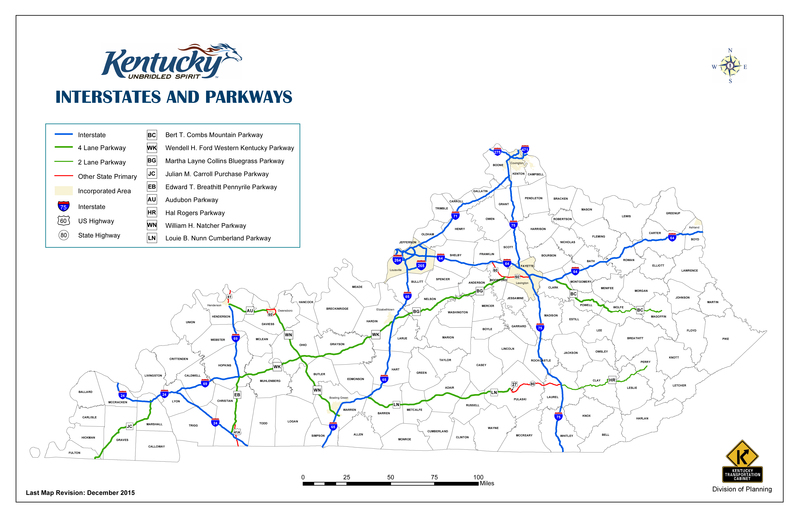 The service is designed to advise drivers via SMS Text and/or email of route specific traffic information regarding closures in excess of two hours on Interstate Highways throughout the Commonwealth of Kentucky. Incidents closing parkways are also included in this program. Alerts are managed from the TRIMARC Regional Traffic Operations Center to provide current information on road closures brought about by unexpected events or planned community activities. Restore normal flow of vehicular traffic on interstate highways as rapidly as possible, following major incidents, in compliance with Quick Clear Laws. Reduce the time required to clear the interstate highway system. Decrease the time emergency responders are required at an incident on the interstate highways. Obtain quicker notifications for commercial carriers. Send a second notice once the incident has been cleared. Allow commercial carriers to alert their drivers of the delay. Reduce the total number of vehicles trapped in the queue of major incidents. Allow commercial carriers to dispatch the necessary assets to clean up incidents.